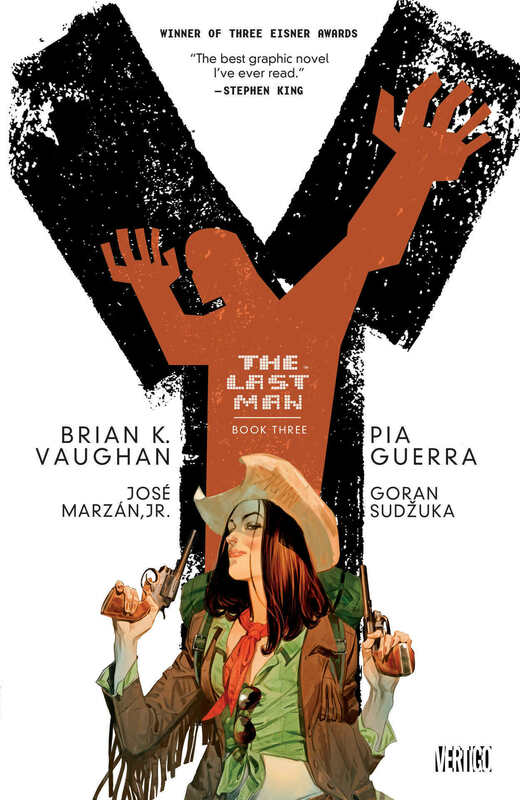 Y: The Last Man, Book 3, Deluxe Edition - купить по выгодной цене | Магазин комиксов "Двадцать восьмой"
Твердый переплет, 190х285 мм, 320 страниц. Y: THE LAST MAN is the gripping saga of Yorick Brown, an unemployed and unmotivated slacker who discovers that he is the only male left in the world after a plague of unknown origin instantly kills every mammal with a Y chromosome. Accompanied by his mischievous monkey and the mysterious Agent 355, York embarks on a transcontinental journey to find his girlfriend and discover why he is the last man on Earth.